Whether you are in school or out, Summer is a perfect time to check-in and make sure we are prepared to hit the auditions that are about to present themselves in the fall. AND – we are counting down the days 'til summer comes to a close! Here's 5 ways you can use your summer to prepare! 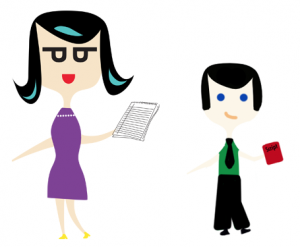 A resume is a hugely important tool. It's important to keep it up to date. Your most recent credit could make or break your next audition. If you've never written a resume for an actor/dancer/singer, or if you'd like a refresher course – check out our page on HOW TO WRITE A RESUME. Like a resume, a headshot is often a directors first impression of you. Often they see your headshot and resume before you even walk into a room! So, a headshot that looks like you and represents your energy is so important. 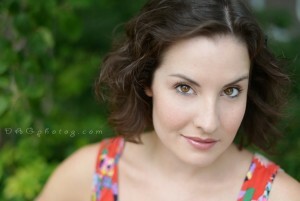 We recommend using Daryl Getman of www.DAGphotog.com. She and I toured together with the National Tour of Chitty Chitty Bang Bang. Not only does she take great photos, but her experience as a performer and choreographer helps her to work wonderfully with performers cause she GETS IT! She wrote an awesome post about preparing for your headshot session and she is offering a great discount for our students. Now that most summer theatre productions are either in rehearsal or already up and running, this is a perfect lull before the next audition season. Take this time to get your book together. 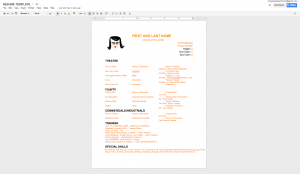 Check out this post on putting together a Musical Theatre Audition book, and use our checklist to make sure you are on the right path. 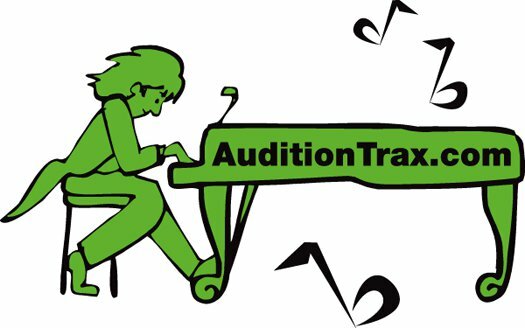 If you already have an audition book, it's a great time to go through your music and make sure you actually know the songs you've prepared. If you don't have access to an accompanist to help you rehearse your songs. 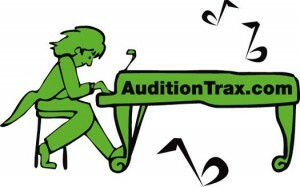 We highly recommend Tom's services at AUDITION TRAX. Many dance/acting/voice studios go on break during the summer and offer master classes or camps. It's so great to have a studio that feels like home, but I also think it's a really good idea to take a class from new teachers. You never know what habits your are developing because you've been with the same teacher for years and years. When you get out and work as a professional performer, you are going to have to learn to work with all sorts of directors. Why not start adapting now? Check out our OC Children's Theatre Database for a large list of studios in and around Orange County. As I mention in my post, Top Ten Tips for Memorization, sometimes the best thing for you is to do nothing! Go have fun. Go to the beach. Go to Disneyland! I was lucky enough to sit in on a question and answer session with actor Daniel Day Lewis a few years ago. At the time, I was working my booty off in NYC. I was auditioning and booking loads of work, but I was running around like a mad woman. I asked him what he suggests for finding balance between the life of an actor and an actual LIFE! I'll never forget his answer. “Being an actor SCOOPS the life out of you. You must find time to fill yourself back up otherwise… you'll have nothing left to give.” He's totally right! So – this summer, don't forget to fill back up! Allow yourself time for a break so that you can hit the fall with gusto! !